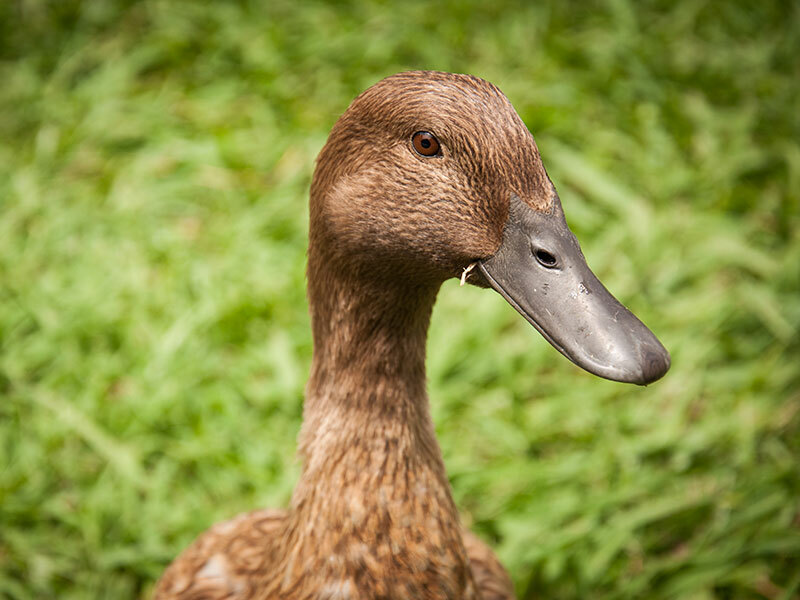 Welcome to Bird & Animal Encounters at Mill Creek Park just 10 minutes out of Whitianga. Situated in a tranquil rural valley, our park and campground has lots to offer. 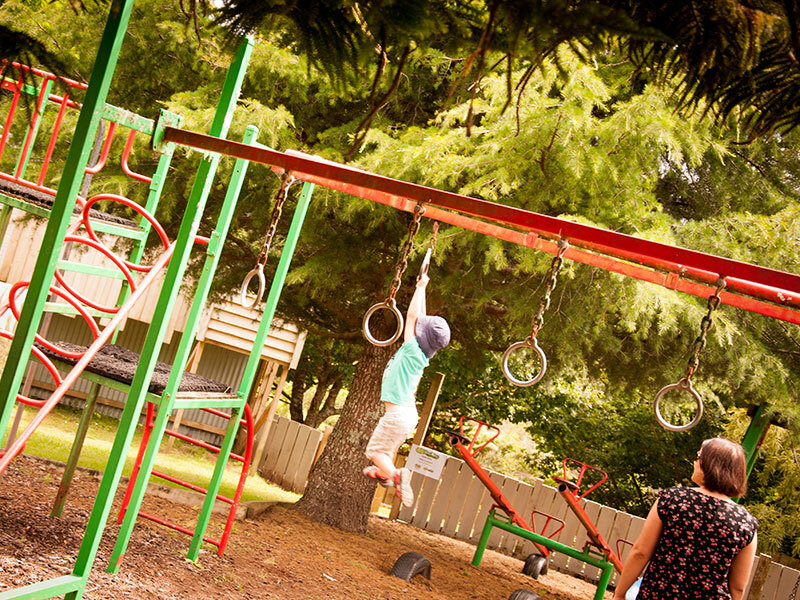 With picnic spots and playgrounds, it's fun for the whole family. 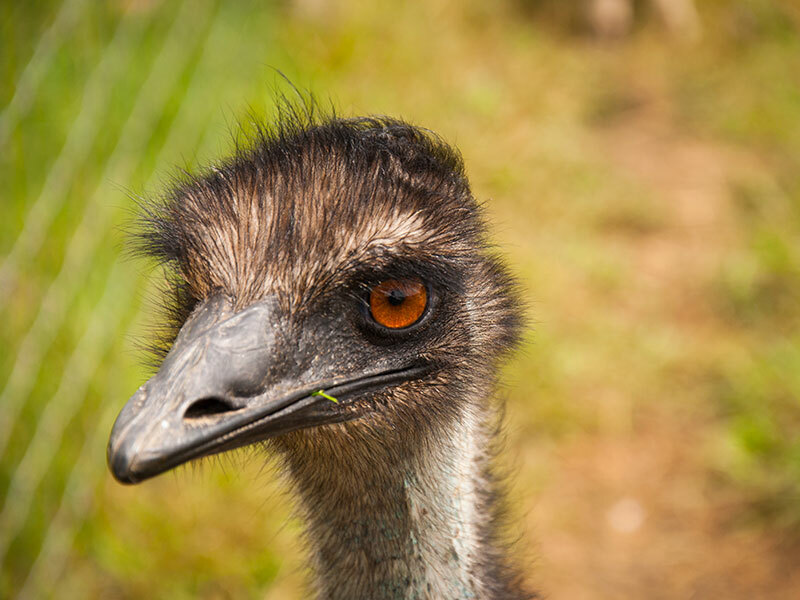 We have a huge range of animals to suit every age, bird and animal encounters at their best! Come for the day, bring a picnic and why not camp overnight. 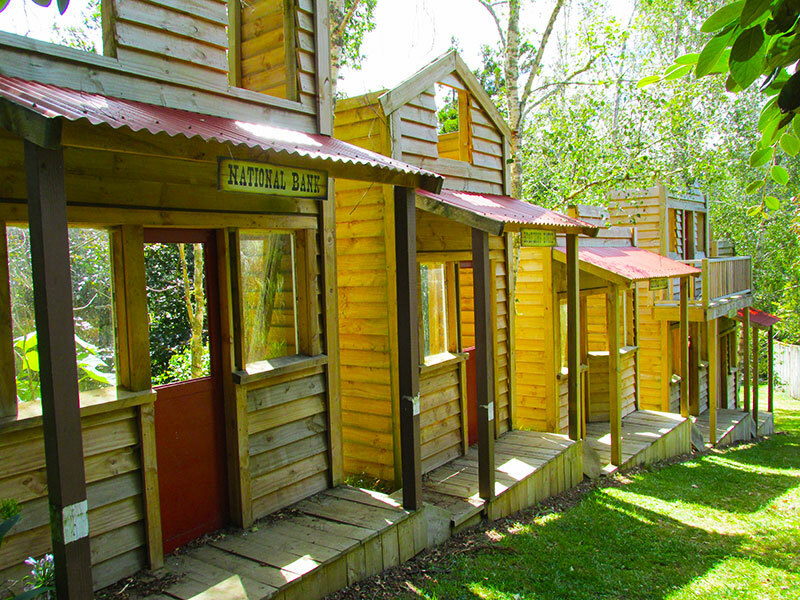 We have full camping facilities including a large self-contained unit that sleeps up to 8! 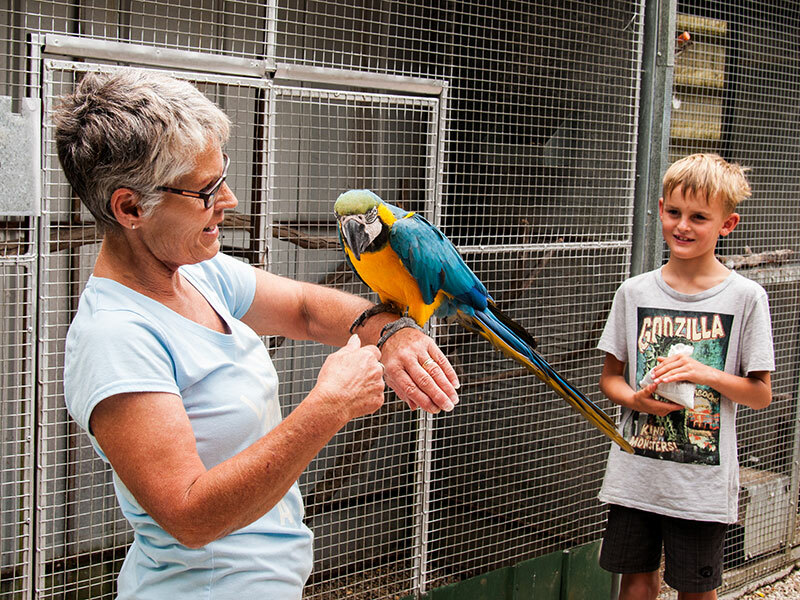 Visit OVER 400 birds housed in 45 aviaries ranging from tiny finches to huge Macaws. When you enter our park you will first meet some of our pet parrots. Start the fun with singing and dancing with these crazy birds and then hold Mr Magoo our Blue & Gold Macaw. 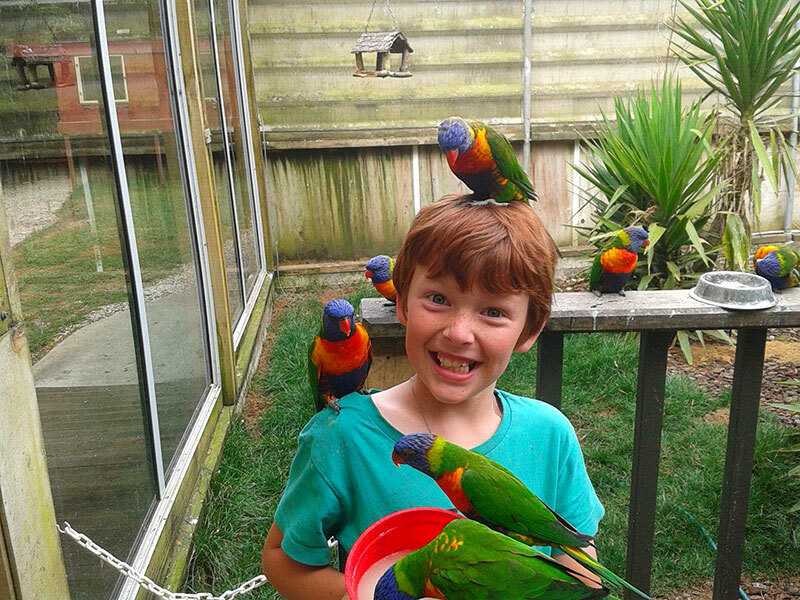 Feed the Lories in our huge walk-in aviary. These characters will sit on your head, your shoulder and eat from your hand. Ask Lala one of our Corellas to perform her many tricks or see if you can get Minty, the Corella to dancee and gargle. 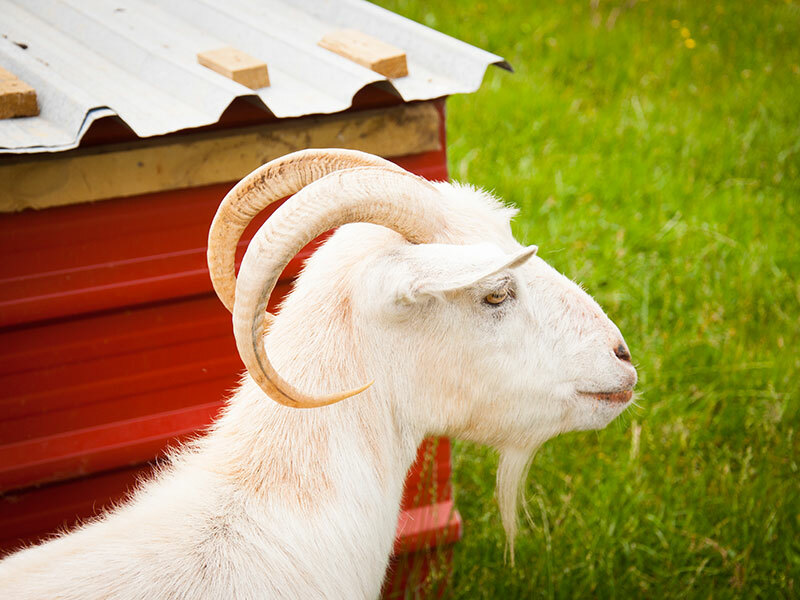 Then head off down through our farm where you can pat the bunnies, cuddle donkeys, goats, mini horses, alpacas, emus, Kune Kune pigs, geese & SO MUCH MORE!!! Pony rides are dependent on weather & ground conditions. Bookings must be made in advance. 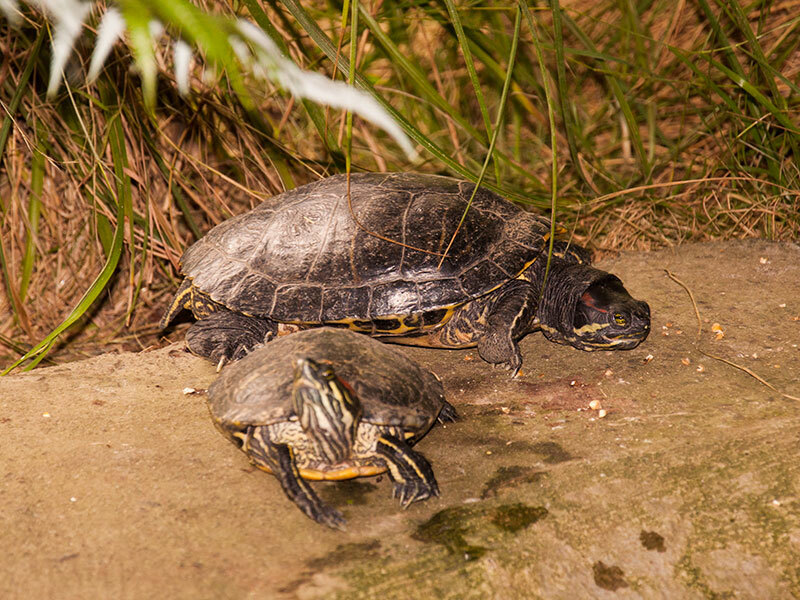 Come visit our many reptiles, We have Blue Tongue Lizards, Bearded Dragons, Eastern Water Dragons, Turtles, Tortoises, Japanese Fire Bellied Newts, too many to list here. Wander past the Western Village and feed the eels. Our tropical fish room is also a must see. Adults can sit and enjoy a coffee at the SASONAL Station Kiosk, while watching the kids playing in the massive playground and crooked house or perhaps you would prefer to picnic or use our free BBQ's. You really can spend a whole day here and never be bored! We have real not to be missed 7/14” TRAIN RIDES, mini putt and picnic spots. It’s fun for the whole family. We can cater for educational visits, schools, kindys, family groups and even birthdays. Please contact us for group bookings. 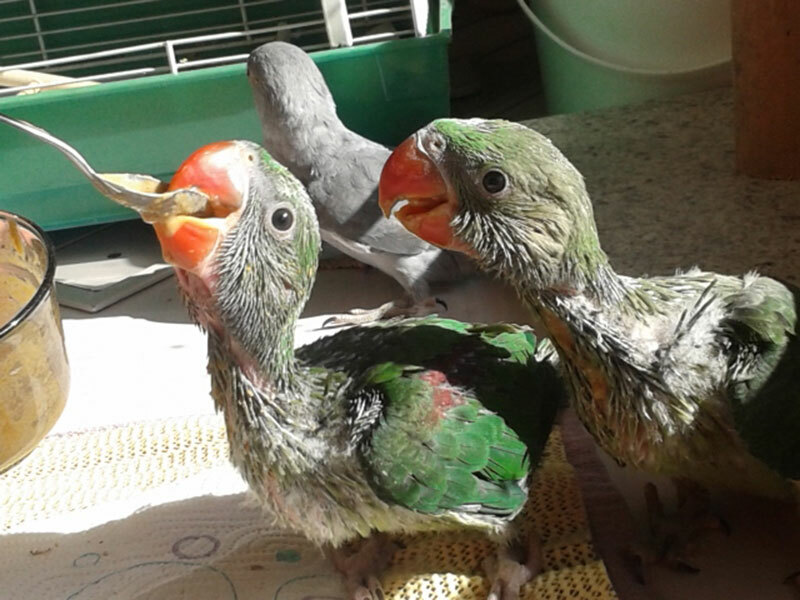 We have been operating our Bird & Animal Rescue Centre for about three years now. We have an authority, issued by DOC, to hold injured protected wildlife in captivity. A lot of our hours are spent nursing injured and sick native birds. At any given time, we can be nursing Ruru (Morepork), Kereru (Wood pigeon), Kahu (NZ Harrier Hawk), Little Blue penguins, Tuis, Kingfishers and so many more.